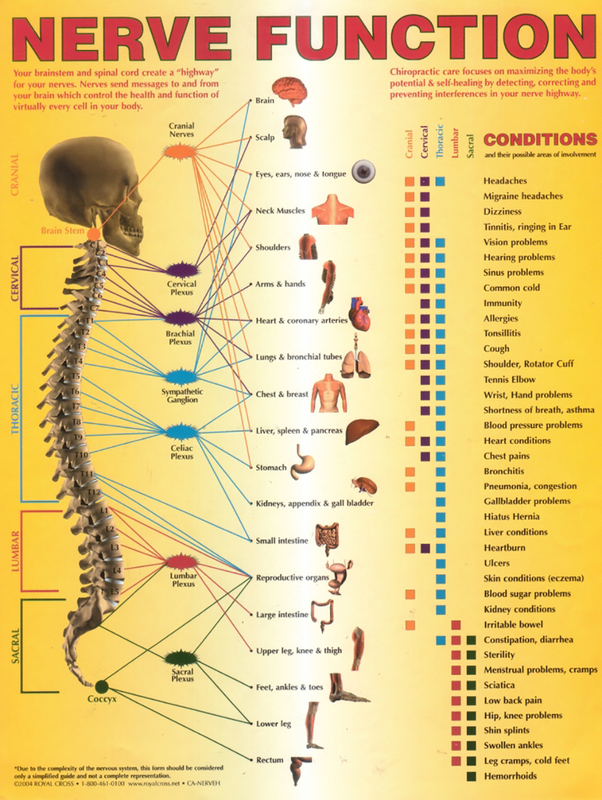 Every part of the body is controlled by nerves, and every one of these nerves connects directly or indirectly with the spine. When chiropractic was priced together by DD Palmer in the late 1800’s, most people sought chiropractic care for relief of various health ailments ranging from digestive disorders to cardiovascular issues. In present times, due to a twisted tale of persecution and jealousy from other professions and organizations, chiropractic has been relegated to alleviating neck and back pain and seeing accident ‘victims’. 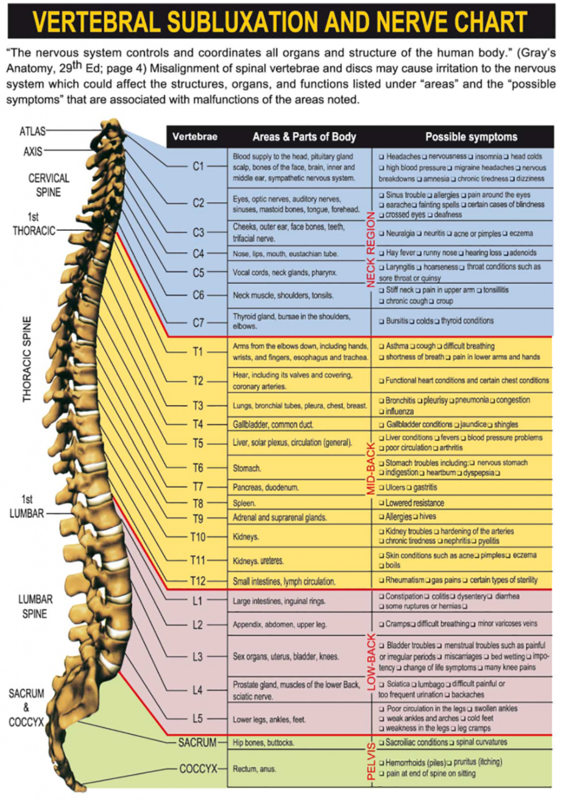 When someone has a pain at a particular level of the spine, it is easy to open up any anatomical text and observe the connection between the corresponding level of the spine and bodily organs and systems than can be affected as well. Often, these outward symptoms of pain lead us to investigate underlying organic conditions. 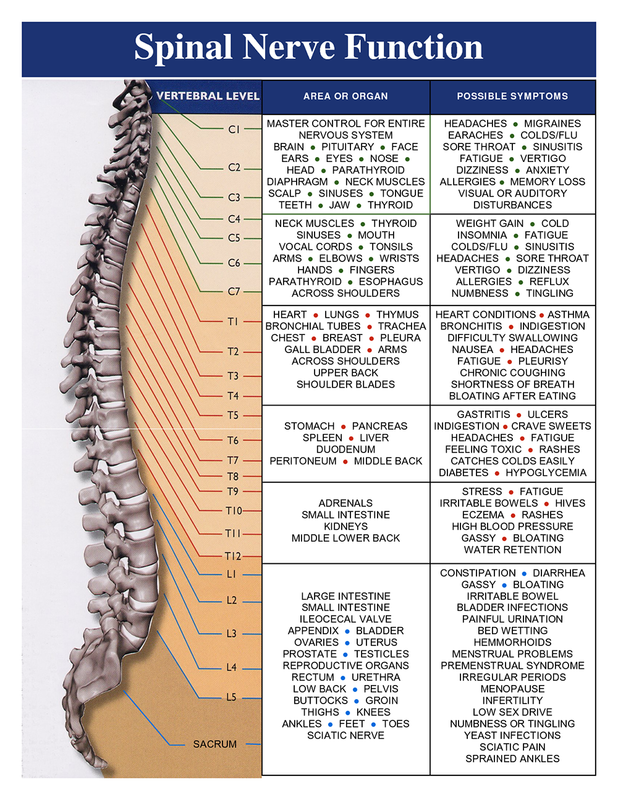 Chiropractic does not ’treat’ these conditions or even pain itself. Rather, by precise chiropractic adjustments and restoring any physical subluxations (misalignments of the spine or other joints), the body is then able to express itself and achieve health and homeostasis (balance).